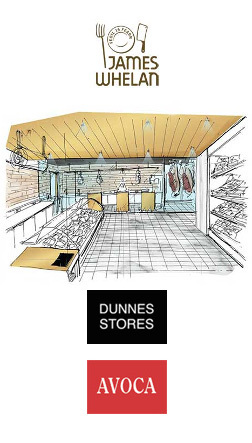 Following the successful launch of our butcher shops in Avoca Handweavers Rathcoole and Kilmacanogue, Dunnes Stores Cornelscourt and Rathmines in Dublin, we are delighted to announce that we are now bringing our craft butchery excellence and expertise to Dunnes Stores at the Pavilions Shopping Centre in Swords, Co Dublin. Our new butcher shop will open it’s doors to the public in early November. We are very excited to be part of what promises to be a really exciting artisan food market with Dunnes Stores. James Whelan Butchers along with Sheridan Cheese Mongers, Baxter & Green and Cafe Sol will bring great excitement to the retail landscape of North County Dublin. 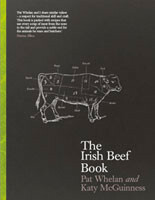 Our specialist craft butcher shop in Swords will allow customers come and see first-hand how we approach our craft. As well as the opportunity to buy and taste our top-quality meat products, customers will be able to see our skilled professional butchers in action in what will be a new food experience in an amazing setting. The new butcher shop promises to be a very exciting destination offering a range of great food under the one roof, with 100 percent focus on delicious, seasonal, Irish food. I would like to take this opportunity to thank all our customers for their continued support in making James Whelan Butchers so special. From Pat Whelan and all the team at James Whelan Butchers, we look forward to welcoming and serving you in Swords from November.